After re-stumbling on Rubbertoe's old Solera thread from a few years back, I was motivated to build my own. The lack of sours in Halifax gave me the ambition to break my almost 1 year brewing hiatus. I've got most of the parts, just waiting on a few kegs before I can build them. 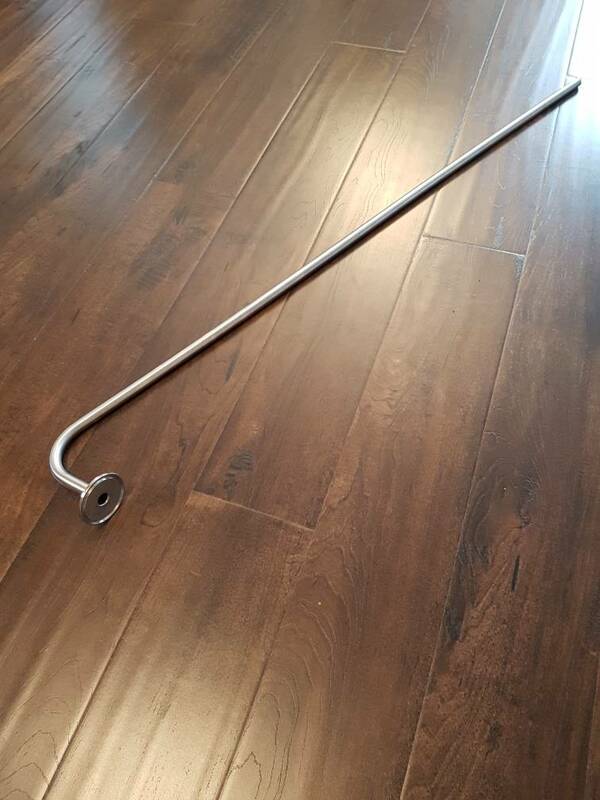 I'm going for a design similar to the one below - the main difference being that my racking cane will have a triclover fitting at the top so that it can be left in place and capped when not being used for a transfer. The side port can be used to attach a blowoff tube, or to attach a ball lock fitting for pressurized transfers. 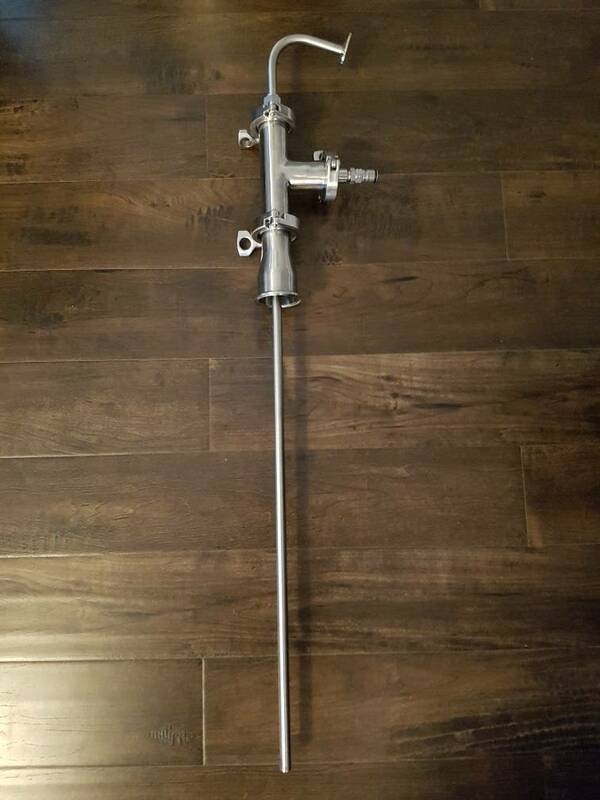 Qty 1 - 1.5" Triclover "T"
You'll also want to add one or two ball or butterfly valves to control air in/liquid out, triclover barbs to connect your liquid in/out to, etc. Got my missing pieces today and threw together the first fermenter. 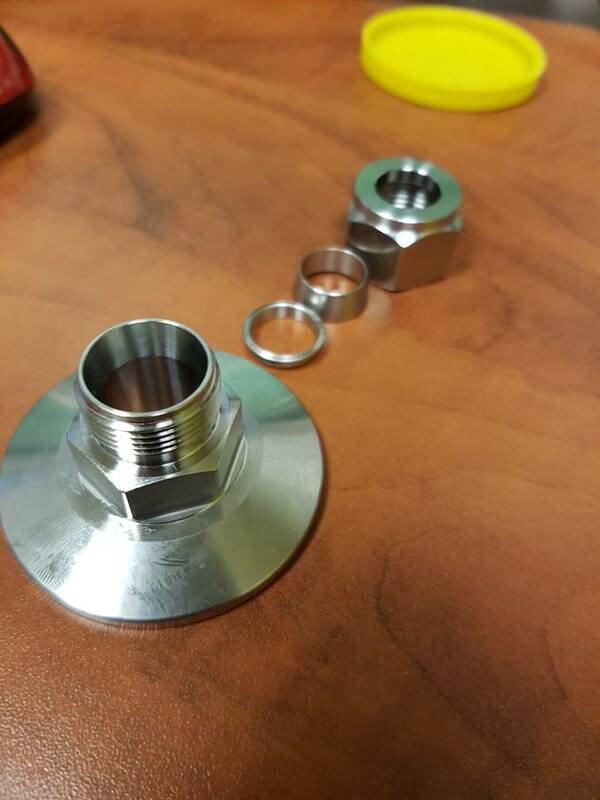 I'll likely be installing a valve on the "t" to easily turn off flow/bleed pressure when pressure transferring. 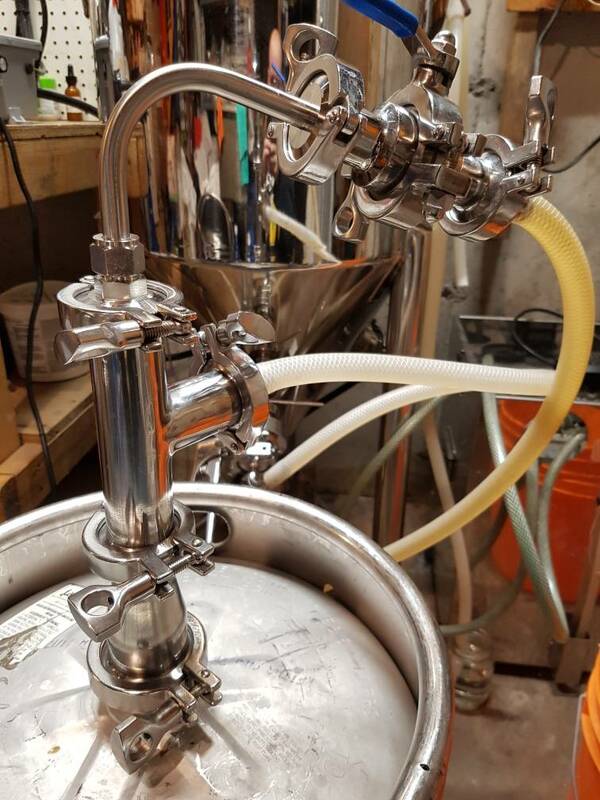 The ball lock fitting will be replaced with a tri clover hose barb for blowoff while aging, and the racking cane can be raised/lowered to transfer from various levels within the keg. Hey, I just had an idea for the blow off tube. Just use a ball lock fitting with the hose going to a jug. Rob's idea should work in this application - I'm planning to primary ferment in my conical before transferring to the keg, so there shouldn't be that much activity in there. This is very cool. I may need to put this on my list of projects, I have a new found love of sours and funky beer. Did a full clean on the whole system last night. I recirculated hot PBW from the conical, in through the racking cane, out through the "t", and back into the conical. Filled the Solera with my first go at a Flanders Red. First post on the site!!! Woohoo!! We just wondering whether you have a chance to post the parts list on this build. Looks awesome. Hey - I've updated the original post with a parts list! 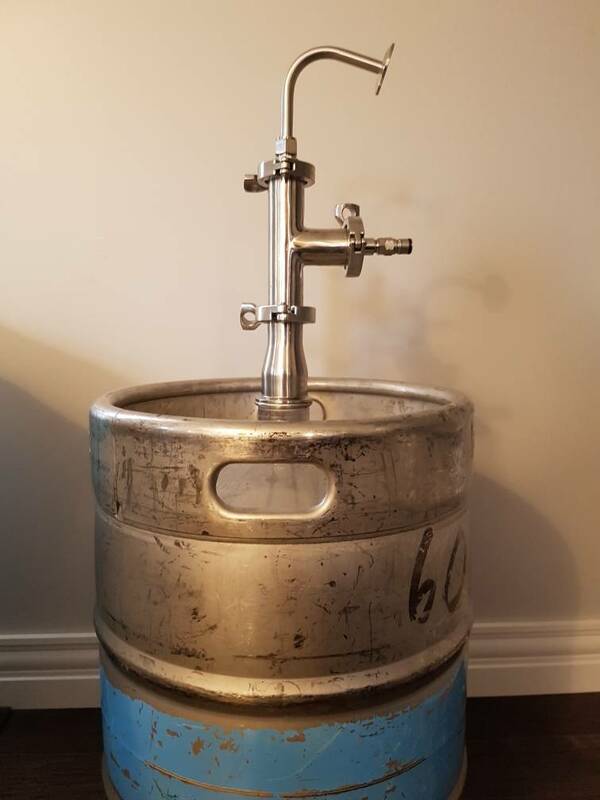 Sorry to revisit an old post, but how do you clean the keg with the solera setup in place or does this process clean the keg at the same time? I have built something similar without the TC's and am trying to work out how to CIP.